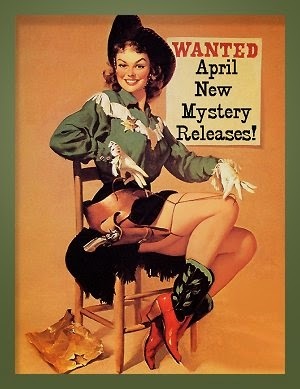 April 2014 New Mystery Releases! You'd think that, with me buzzing around spring cleaning, I'd have less time and inclination to read, but that's not been the case. In fact, my reading consumption has increased. I'm really beginning to think that I'm a human solar panel, and the more sunshine I can absorb, the more I need to read. Besides, any of you who've read my yearly reading statistics posts already know that in the summer I resemble a shark on a feeding (i.e., reading) frenzy! 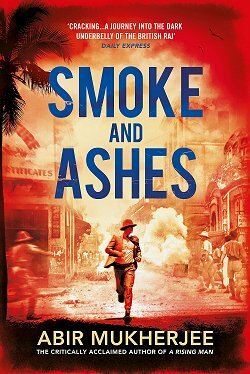 Here are my picks for new mysteries being released in April. They're sorted by release dates and contain all the information you'll need to find them at your favorite book procurement locations. Book synopses are courtesy of Amazon. Happy Reading! Synopsis: "Anna Pigeon, a ranger for the U.S. Park Services, sets off on vacation—an autumn canoe trip in the to the Iron Range in upstate Minnesota. With Anna is her friend Heath, a paraplegic; Heath’s fifteen-year-old daughter, Elizabeth; Leah, a wealthy designer of outdoor equipment; and her daughter, Katie, who is thirteen. For Heath and Leah, this is a shakedown cruise to test a new cutting edge line of camping equipment. The equipment, designed by Leah, will make camping and canoeing more accessible to disabled outdoorsmen. On their second night out, Anna goes off on her own for a solo evening float on the Fox River. When she comes back, she finds that four thugs, armed with rifles, pistols, and knives, have taken the two women and their teenaged daughters captive. With limited resources and no access to the outside world, Anna has only two days to rescue them before her friends are either killed or flown out of the country." Synopsis: "A weekend getaway to the Rocky Mountains. A Scottish-inspired castle of carved stone, imposing turrets, liveried bellhops, and panoramic views. Perched on the verge of one of the world’s greatest wildernesses. They’re an unlikely couple: Lucky Smith, passionate environmentalist, old-time hippy; Paul Keller Chief Constable of Trafalgar, British Columbia. This vacation is a chance to explore their fledging late-in-life relationship, to indulge themselves at the famous Banff Springs Hotel. Trouble interferes when Lucky, strong-willed and sometimes too stubborn for her own good, stands up to two bullies in the local coffee shop. To his horror Paul recognizes one of the young men as his estranged son, Matt. In the early hours of the following morning, a frantic Matt calls his father for help. Lucky and Paul arrive to find a body on the apartment floor, but Matt has gone. Matt Keller is an experienced wilderness adventurer. All signs indicate that he’s escaped into the backcountry. To RCMP Sergeant Eddie Blechta, running is all the proof of guilt he needs. Paul Keller can do nothing but watch the investigation from a distance, terrified that Blechta is right. Lucky’s daughter, Constable Molly Smith of the Trafalgar City Police, abandons her chaotic Thanksgiving kitchen to offer her mom support. She has no intention of meddling in the police investigation, but when Matt’s sad, shy girlfriend, Tracey, asks for her help, Molly Smith finds herself not only interfering but putting herself on the wrong side of Edward Blechta. And Molly Smith is as good in the wilderness as Matt Keller." Synopsis: "Normally Melanie Cooper and Angie DeLaura wouldn’t be caught dead at a beauty pageant, but when Mel’s mom asks them to provide cupcakes for the seventy-fifth annual Sweet Tiara contest as a favor for her best friend, they can’t say no. Plus, between cooking up a daily display for the three-day event and sponsoring a cupcake creation challenge for the participants, Fairy Tale Cupcakes will get great publicity. But the world of pageants is even hotter than Mel’s kitchen. A high-strung judge and a pushy stage mom target Lupe, a young friend of Mel and Angie’s, at the competition and aim to take her out—by any means necessary. 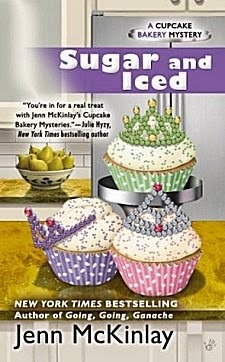 When the same judge shows up dead underneath Mel and Angie’s cupcake display, Lupe is crowned the lead suspect. Now Mel and Angie will have to find the real killer quickly or Lupe may be strutting the catwalk in prison pinstripes…"
With each new clue—a dark chamber, a smoking cigar and an amorous lodger—it becomes harder to separate fact from fiction. And when the ghost is revealed to be flesh and blood, the lonely widow may be in more trouble than Ivy and her team can handle…"
Synopsis: "One afternoon, Commissario Guido Brunetti gets a frantic call from the director of a prestigious Venetian library. Someone has stolen pages out of several rare books. After a round of questioning, the case seems clear: the culprit must be the man who requested the volumes, an American professor from a Kansas university. The only problem—the man fled the library earlier that day, and after checking his credentials, the American professor doesn’t exist. As the investigation proceeds, the suspects multiply. 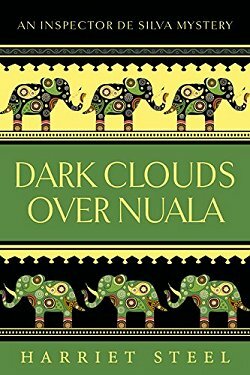 And when a seemingly harmless theologian, who had spent years reading at the library turns up brutally murdered, Brunetti must question his expectations about what makes a man innocent, or guilty." Synopsis: "1559. Elizabeth is about to be crowned queen of England and wants her personal musician Kate Haywood to prepare music for the festivities. 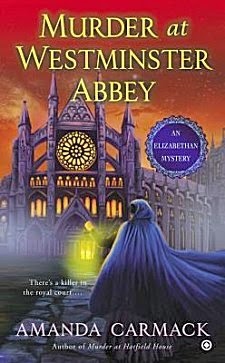 New to London, Kate must learn the ways of city life…and once again school herself as a sleuth. The celebrations go on despite the pall cast over them. 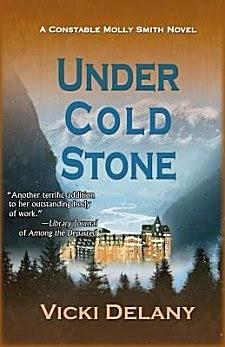 But when another redhead is murdered, Kate uncovers a deadly web of motives lurking just beneath the polite court banter, and follows the trail of a killer whose grievance can only be answered with royal blood." Synopsis: "Summer of 1876: San Francisco is in the fierce grip of a record-breaking heat wave and a smallpox epidemic. Through the window of a railroad saloon, a young woman named Jenny Bonnet is shot dead. In thrilling, cinematic style, FROG MUSIC digs up a long-forgotten, never-solved crime. 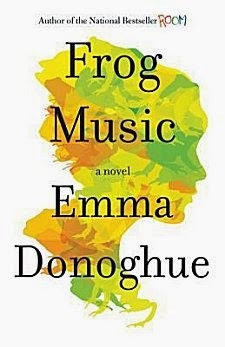 Full of songs that migrated across the world, Emma Donoghue's lyrical tale of love and bloodshed among lowlifes captures the pulse of a boomtown like no other." Synopsis: "Any bloody death will lead Inspectors Ikmen and Suleyman out onto the dark streets of Istanbul. On January 21, a half-decapitated corpse in the poor multicultural district of Tarlabasi poses a particularly frustrating and gruesome mystery. 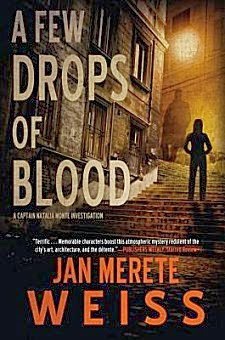 But as the months pass and the violence increases, it turns into a hunt for that rare phenomenon in the golden city on the Bosphorus: a serial killer. 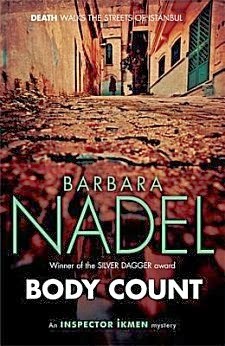 Desperate to uncover the killer's twisted logic as the body count rises, Ikmen and Suleyman find only more questions. How are the victims connected? What is the significance of the number 21? And how many Istanbullus must die before they find the answers?" 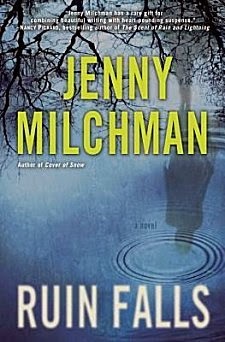 Synopsis: "Since Jimm Juree moved, under duress, with her family to a rural village on the coast of Southern Thailand, she misses the bright lights of Chiang Mai. Most of all, she’s missed her career as a journalist, which was just getting started. In Chiang Mai, she was covering substantial stories and major crimes. But here in Maprao, Jimm has to scrape assignments from the local online journal, the Chumphon Gazette—and be happy about it when she gets one. This time they are sending her out to interview a local farang (European) writer, a man in his late fifties, originally from England, who writes award-winning crime novels, one Conrad Coralbank. At the same time, several local women have left town without a word to anyone, leaving their possessions behind. These include the local doctor, Dr. Sumlak, who never returned from a conference, and the Thai wife of that farang writer, the aforementioned Conrad Coralbank. All of which looks a little suspicious, especially to Jimm’s grandfather, an ex-cop, who notices Coralbank’s interest in Jimm with a very jaundiced eye. 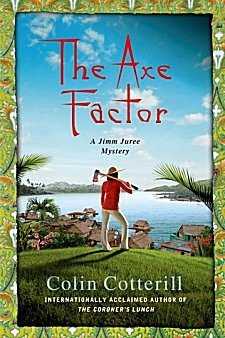 With a major storm headed their way and a potential serial killer on the loose, it looks like Jimm Juree, her eccentric family, and the whole town of Maprao is in for some major changes." Synopsis: "When the bodies of two men are found, shockingly posed, in the garden of an elderly countess, Captain Natalia Monte of the Carabiniere is assigned the case. Soon she finds herself shuttling between Naples’ decadent art galleries and violent criminal underworld. If she is to succeed in solving the heinous crime, Natalia must deal with not only her own complicated past and allegiances, but also those of the city as a whole. 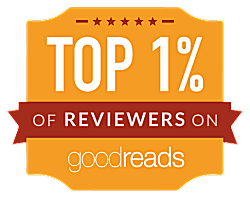 A riveting and poetic exploration of the violence that lurks in the heart of beauty." Synopsis: "Liz Daniels has every reason to be happy about setting off on a rare family vacation, leaving behind her remote home in the Adirondack Mountains for a while. Instead, she feels uneasy. Her children, eight-year-old Reid and six-year-old Ally, have met their paternal grandparents only a handful of times. 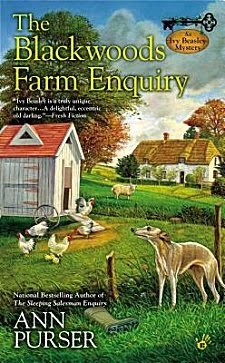 But Liz’s husband, Paul, has decided that, despite a strained relationship with his mother and father, they should visit the farm in western New York where he spent his childhood. Frantic worry and helplessness threaten to overtake Liz’s mind—but in a sudden, gut-wrenching instant she realizes that it was no stranger who slipped into the hotel room that night. Someone she trusted completely has betrayed her. Though she knows that Ally and Reid are safe, Liz will stop at nothing to find them and get them back. From her guarded in-laws’ unwelcoming farmhouse to the deep woods of her own hometown, Liz follows the threads of a terrible secret to uncover a hidden world created from dreams and haunted by nightmares." 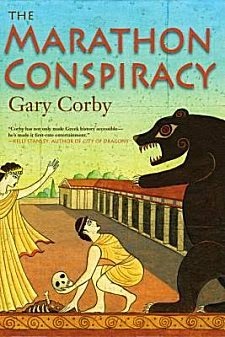 Synopsis: "Nicolaos, Classical Athens's favorite sleuth, and his partner in investigation, the clever ex-priestess Diotima, have taken time out of their assignments to come home to get married. But if Nico was hoping they'd be able to get hitched without a hitch, he was overly optimistic. When they arrive in Athens, there's a problem waiting for them. Meanwhile a skull discovered in a cave not far from the sanctuary has proven to be the remains of the last tyrant to rule Athens. The Athenians fought the Battle Marathon to keep this man out of power. He was supposed to have died thirty years ago, in faraway Persia. What are his remains doing outside the city walls? Nico's boss, the great Athenian statesman Pericles, wants answers, and he wants Nico to find them. What makes it all so ominous is that the skull was discovered by the two students of the Sanctuary of Artemis who are dead and missing. What does a decades-dead tyrant have to do with two young girls? Where is the missing child? Is a killer bear really lurking beyond the walls of Athens? And who is the mysterious stranger who's trying to kill Nico and Diotima? Can the sleuths solve the interlocked crimes and save a child before their wedding?" Did any of these titles catch your eye-- and make it to your wish list? Which ones? (You know I'm an insatiably curious bookaholic!) 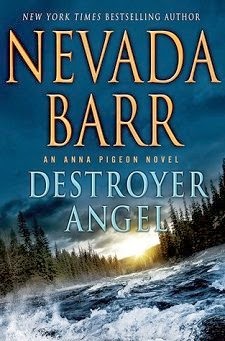 I've already read Nevada Barr's Destroyer Angel, and I loved it so much that I can't keep quiet until my review is posted. 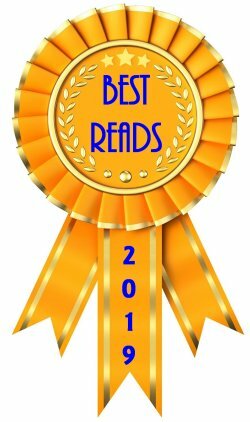 But there are so many other wonderful books in this list that I can't choose a favorite! 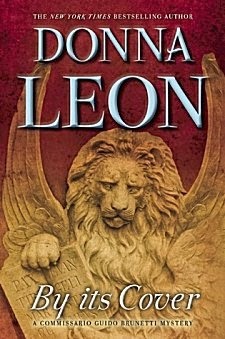 I can't wait for the Nevada Barr, Vicki Delaney and Donna Leon books to get to my library, and then to me. Await them with great anticipation. So glad to hear you loved the new Anna Pigeon. I guess my own house-cleaning has to wait until I read these new books. I answered this a while ago, and evidently my comment went off into the wild blue yonder. I've been doing spring cleaning lately out of self-preservation: the dust bunnies were almost nose deep. You can tell where my focus lies! They are dust bears in my house. When one has a broken arm, nothing gets done. That was my excuse during the winter. Now I have to read and catch up on bill paying, etc. Can I read while I'm cleaning is my question? Too much to read this spring! I used to walk to school or walk to work and read, but somehow, I don't think that's going to be feasible with cleaning. I think that's one reason why some folks like audiobooks-- they can clean and listen at the same time.